Marine William Bean died during operations at Walcheren. 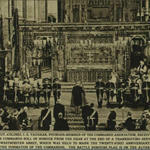 He was part of a patrol sent to Veere on the North East of the island travelling in a convoy of 4 amphibious Buffaloes. 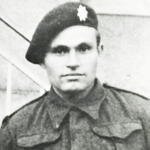 Private Walter Branch, RAMC attached to 48RM Commando, died during operations at Walcheren. His name is on the 48RM Commando Memorial at the RM Commando Museum, Portsmouth. Private William Brown, RAMC attached to 48RM Commando, died during operations at Walcheren. His name is also on the 48RM Commando Memorial at the RM Commando Museum, Portsmouth. 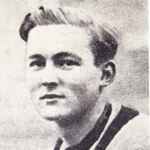 Marine Norman Burgess died during operations at Walcheren. Marine Arthur Coleman was batman to Lieut. Collins of 'A' troop. Both died during an operation against the German held island of Schouwen, Holland. 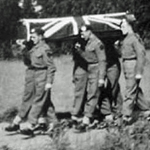 Sergeant Anthony Davis died during operations at Walcheren. Marine Martin Findlay died during operations in Holland. At the time of his death his Commando were engaged in holding a section of the line along the Maas. DDay Commando - From Normandy to the Maas with 48RM Commando by Ken Ford. Lance Corporal Dennis Fogg was killed during operations at Walcheren. He was part of a patrol sent to Veere on the North East of the island travelling in a convoy of 4 amphibious Buffaloes. Marine Robert Gibbs died during operations at Walcheren. He was part of a patrol sent to Veere on the North East of the island travelling in a convoy of 4 amphibious Buffaloes. 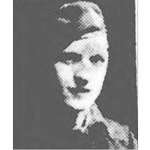 Marine Leslie Haines died during operations at Walcheren. Petty Officer James Hough, RN Beach Commando 'L', was killed during operations at Walcheren. 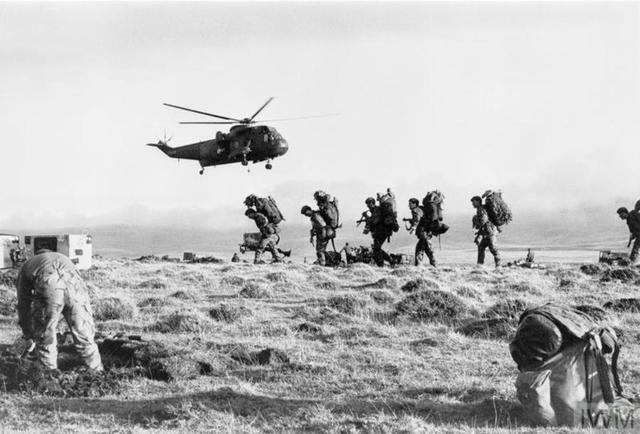 History of RN Commando 'Love' National archives ref. DEFE2/987. Corporal James Law died during operations at Walcheren. He was part of a patrol sent to Veere on the North East of the island travelling in a convoy of 4 amphibious Buffaloes. Marine Alfred Mee died during operations at Walcheren. He was part of a patrol sent to Veere on the North East of the island travelling in a convoy of 4 amphibious Buffaloes. 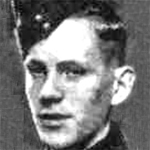 Sergeant Harold Peace died during operations at Walcheren. He was part of a patrol sent to Veere on the North East of the island travelling in a convoy of 4 amphibious Buffaloes. Company Sergeant Major Harold Plank was shot and killed during operations against an enemy gun emplacement on Walcheren. Marine Frederick Potter died during operations at Walcheren. He was part of a patrol sent to Veere on the North East of the island travelling in a convoy of 4 amphibious Buffaloes. Marine Benjamin Pry, Heavy Weapons Troop (HWT), died of wounds inflicted during operations against the German held small island of Kapelsche Veer which lies between the River Maas and the River Oudermaas. The HWT had been acting as as stretcher bearers on this raid. Marine Wildman is quoted in the book 'From Omaha to the Scheldt', that as he passed Mne Benny Pry who had been seriously injured, Mne Pry said to him " Mind where you're treading Fred, I think I've lost my feet." Mne. Pry was rescued but died from his wounds. Sergeant John Puddick died during operations at Walcheren. He was shot by a sniper whilst engaged in operations against enemy held batteries along the dunes west of Groot Valkenisse. 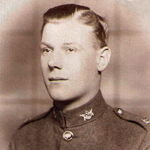 Corporal Charles Ripiner died during operations at Walcheren. Marine Lawrence Samwell died during operations at Walcheren. His brother 19062711 Private Vernon James Samwell, Royal Army Ordnance Corps, aged 19, also died in 1947. Marine Cyril Savage died during operations at Walcheren. He was part of a patrol sent to Veere on the North East of the island travelling in a convoy of 4 amphibious Buffaloes. 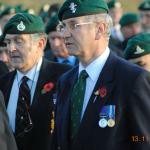 Marine Philip Shears died during operations at Walcheren. Corporal Ernest Shrigley died during operations at Walcheren. He was part of a patrol sent to Veere on the North East of the island travelling in a convoy of 4 amphibious Buffaloes. Marine Colin Skelland died during operations at Walcheren. He was part of a patrol sent to Veere on the North East of the island travelling in a convoy of 4 amphibious Buffaloes. Company Sergeant Major William Spear, 'Q' troop, died  during operations at Walcheren. 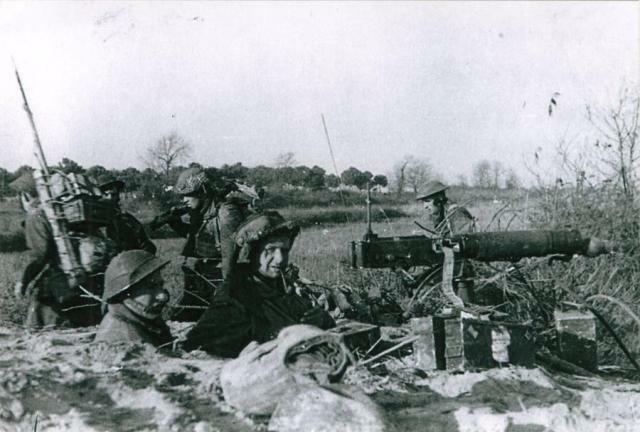 Whilst advancing with 2 sections of his troop to engage the enemy who were in a series of gun batteries along the dunes west of Klein Valkenisse, they encountered accurate enemy mortar fire resulting in his death and many others casualties . Marine John Stewart died during operations in NW Europe. 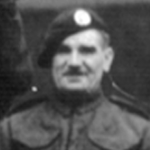 Lieutenant Michael Style, attached to 47RM Commando, died during operations at Walcheren. Marine Robert Taylor died during operations in NW Europe. 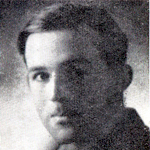 Marine Philip Titmuss died during operations at Walcheren. He was part of a patrol sent to Veere on the North East of the island travelling in a convoy of 4 amphibious Buffaloes. Marine Anthony Turner died of wounds during operations at Walcheren. Corporal James Unsworth died during operations at Walcheren. Marine Norman Wall died during operations at Walcheren. He was part of a patrol sent to Veere on the North East of the island travelling in a convoy of 4 amphibious Buffaloes. Read more about WALL, Norman F.
Marine Charles Ware died during operations at Walcheren. 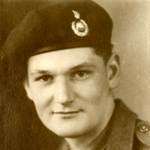 Sergeant Robert Webb died during operations at Walcheren. Marine Raymond Williams died  during operations against the German held small island of Kapelsche Veer which lies between the River Maas and the River Oudermaas . 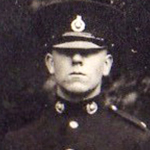 Marine George Wilson died during operations at Walcheren.